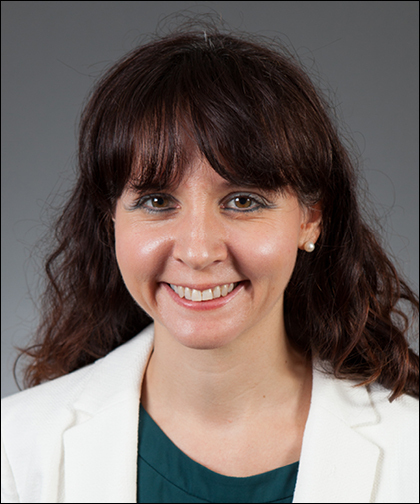 Kerry Morrone, MD, is an Assistant Professor of Pediatrics at the Albert Einstein College of Medicine, the Director of the Sickle Cell Program and the Director of the Pediatric Hematology Oncology Fellowship Program at Montefiore. Dr. Morrone focuses on classical hematology, particularly sickle cell disease and hemoglobinopathies, platelet disorders, thrombosis, and bone marrow failure syndromes. Dr. Morrone graduated from New York University, earning her Bachelor of Arts in Biology in 2003. She then attended the Albert Einstein College of Medicine, where she received her Doctor of Medicine in 2007 and was inducted into the Alpha Omega Alpha Honor Medical Society. In medical school, Dr. Morrone also won the American Medical Women’s Association Glasgow Rubin Achievement Award. Dr. Morrone completed her pediatric residency, chief residency, and pediatric hematology oncology fellowship all at the Albert Einstein College of Medicine. She has also been recognized for her teaching efforts many times and won the Leo M. Davidoff Society – Albert Einstein College of Medicine Teaching Award in 2010 and 2015. Dr. Morrone is committed to improving quality of care and health care utilization in chronic illness, particularly sickle cell disease, and thalassemia through her research. Other current research interests include pulmonary complications of sickle cell disease particularly asthma and acute chest syndrome, in addition to infectious complications and thrombotic complications of sickle cell disease.